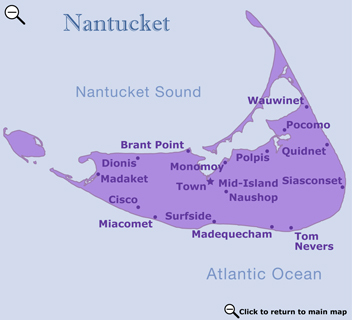 The Brant Point neighborhood extends from the Brant Point Lighthouse to Jetties Beach, one of the best beaches for young families because of its calm waters. An easy bike ride from town, Jetties Beach has changing rooms, a playground, public tennis courts, volleyball nets, showers, and a boardwalk to the beach. Windsurfing, sailboat, and kayak lessons and rentals are available. Brant Point Lighthouse is the second oldest lighthouse (1746) in America and one of the most frequently photographed lighthouses. Ferries, yachts, and ships from the mainland pass it on their way into the harbor. To visit the lighthouse up close, walk along Easton Street and continue over the wooden footbridge. 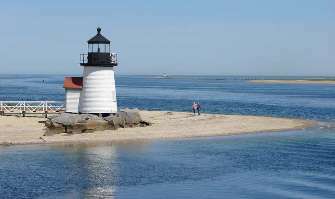 It is not open to the public, but visitors enjoy strolling around the grounds and watching the boats go by or the artists paint the lighthouse. Children's Beach is on the harbor and ideal for small children. It has a playground, picnic tables, and a bandstand.